Magica is an album I’ve written about on my site many times before. I’ve always felt it was an under appreciated album. What’s weird about this, the lone official “concept” album in the Dio catalogue is that it doesn’t work for me as a concept album. Never has. To this day, I have no idea what the heck the concept is about. Ronnie tried to explain it, there’s an 18 minute or so spoken word piece about the Magica concept that I just cannot get through. Have tried – can’t do it. Back in the day when this was new, I found I enjoyed the album a lot more if I stopped trying to figure it out and just enjoy it as music. That’s the beauty of this album for me, as a concept album it doesn’t work, but as a piece of music, it bloody well slams it out of the park. 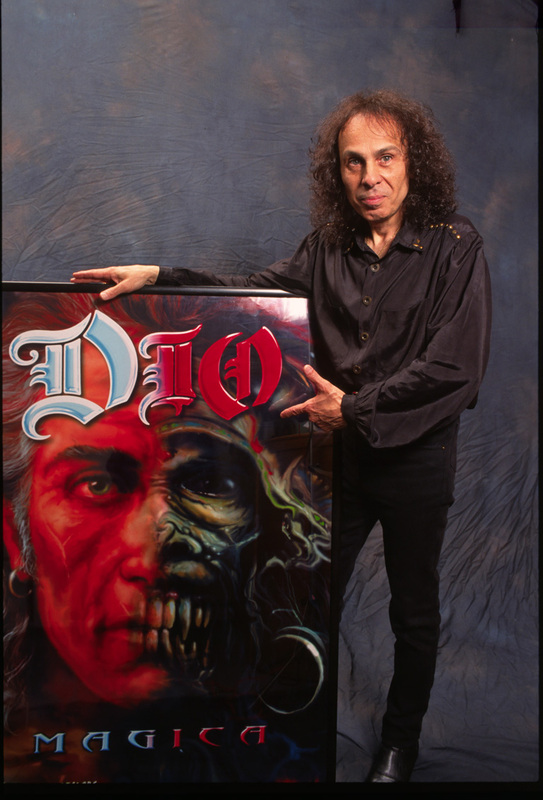 When people think of Dio solo material, they tend to gravitate towards Holy Diver (album) and individual songs like “Rainbow in the Dark” or “We Rock” or “Last in Line”. There’s nothing wrong with that, those works are all killer. 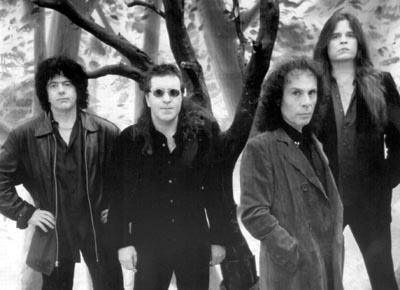 Wouldn’t have Magica without Rainbow in the Dark, much like we wouldn’t have Heaven & Hell without the Paranoid album. I get that. But for me, Magica is a seriously solid album, probably right there with Holy Diver (and for me Dream Evil) as my favorite Dio albums front to back. Dio was always a habit purchase for me. 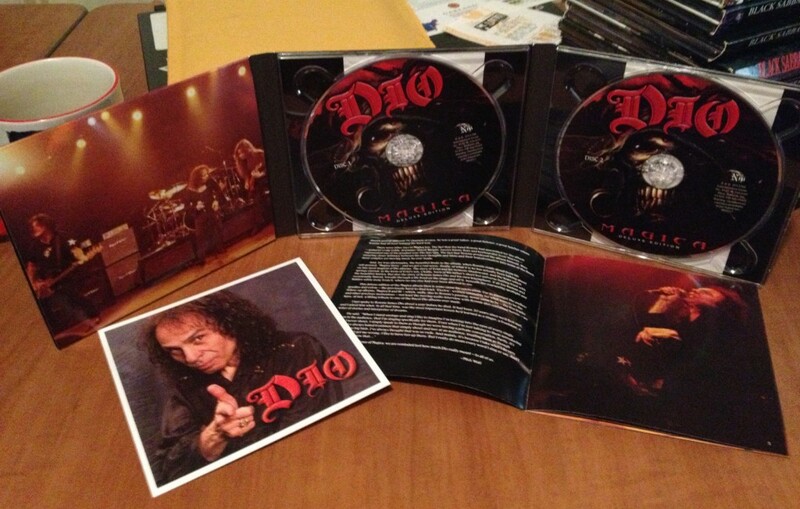 I bought every Dio studio album without even thinking about it. And given the years they were all released, without the benefit of song samples, full song previews on Youtube, I bought them blind. But I took to it quite nicely once I got past attempting to figure out the “concept”. 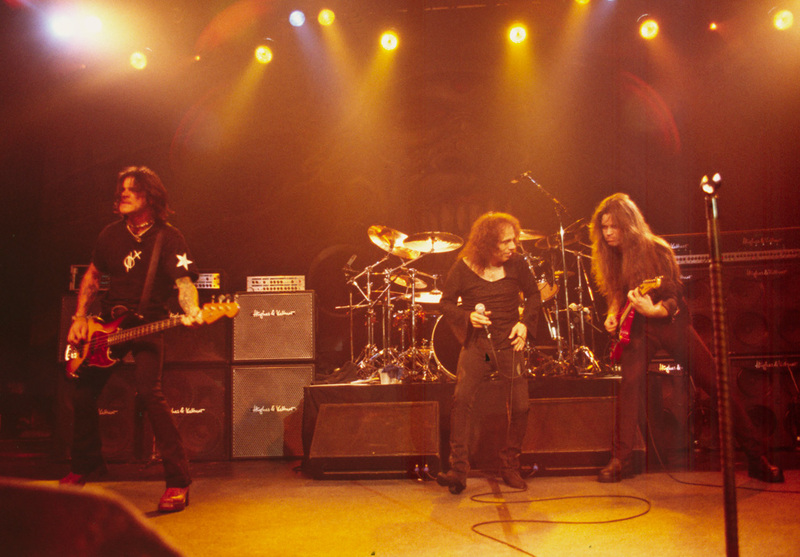 I always felt that Craig Goldie had a fluid style of guitar play that worked well in Dio. The album came out 13 years ago, and as time and tastes change, the album stopped being in print, and you couldn’t buy a new version of the album at a reasonable price anymore, because well, you know how it goes. Out of print album means third party/used prices go up. So I was pleased some months ago when I heard that Niji was putting this out again in a Deluxe Edition, which I hold in my hands. If you don’t know or never heard the Magica album in the first place.. Well, shame on you. It’s really solid stuff. You need to buy it. And given its price for a double CD package, there’s no real reason not to. It’s cheap enough. I’m not going to write about the music on Magica a ton here, because I’m laying money that most people reading this already know the album. And besides, if you don’t, well, just stop that and go buy it. I’m gonna talk more about the packaging and the contents. Well, OK I lied. I’ll talk a little. The track “Fever Dreams” comes from this album, and if you make me pick one single Dio track that I like more than any other, it’s Fever Dreams. I love this tune an AWFUL lot. I wrote a bit about my three favorite tracks from this album on the Dio career retrospective article I wrote in December 2011. Those three tracks are Fever Dreams, Feed My Head, & Challis. Check it out. This is as the original Disc 1 was, except the 18 minute “Magica Story” was moved off of Disc 1. Other than that, it’s the same layout in terms of tracks as the original release. It’s been remastered of course. Speaking to that, it definitely seems to have some more punch than the original version did. 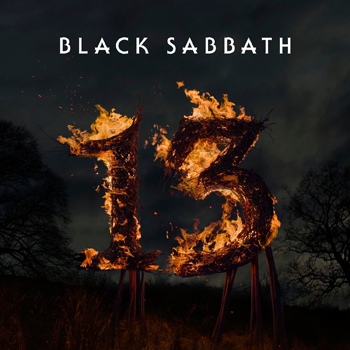 Not that the original was a slouch – it still has a good bass response, but the 2013 remaster has more of it. Now, I know a lot is made by audiophiles (Gah, my term is bitrate bigots) of these issues. Rick Rubin is a frequent target. But I like the sound. Improved power, but it doesn’t overpower my ears. Someone might get out an audio program, record the sound and prove it, but I don’t care about that. I don’t measure my enjoyment of music on how high a peak it makes in audio software on the computer. I just get into it with my own ears. It’s an extremely solid album, and one I would have NO PROBLEMS buying a second time, even if I hadn’t gotten a copy gratis from the record label. I still have my copy from the original purchase many years ago, and while I won’t be getting rid of that, I see the new 2013 Deluxe Edition being the preferred version going forward. The cover art is pretty much the same as the original, except for a small white text at the bottom saying “Deluxe Edition”. The case itself is one of the trifold digipak packages. I have a few pictures of it here, but it’s nothing you likely haven’t seen before in that regard. Inside are the two CD’s in the kind of plastic you’d find in a more traditional jewel case, which is good. As some of these kind of packages don’t hold the CD’s well, and they can allow the CD’s to slide around in there. Thumbs up on that one. Underneath the CD’s are reproductions of a list of dates for the year 2000. It’s not complete, because my Dallas show isn’t on there, but it’s kind of cool to see that. There’s the usual group of pictures of the band scattered throughout this. The CD insert booklet has a new story by Mick Wall about Magica. Also in here are album lyrics, a text reproduction of the 18 minute spoken word track, as well as the original 2000 & updated 2013 credits. Finally there is a small square picture of Ronnie included. I’ve included a picture of that in the interior packaging shot below. In all, some nice Magica “stuff”. But in the end, it’s all “stuff” in the overall package. To me, the most important thing is the music, that that’s the big star here. Magica is a great album that if you missed, you really should check out. If you have gotten in in the past, perhaps it’s time to revisit an old friend. Need a replacement copy or just want the extra material? It’s a good value for a 2 disc deluxe package (at $11.88 as I write this), you should go pick it up. You can also read my preview announcement of this package here, as well as view my discography page for Magica here. NOTE: The digital purchases (iTunes & Amazon MP3) do *NOT* come with a pdf version of the booklet. Excellent review for an excellent album, Joe. Magica, Holy Diver, and Master of the Moon are my favourite Dio albums. The other albums have a fair few misses but those three I can listen from start to end without skipping a track. Master of the Moon rules!! I’d love a Deluxe edition of it. One of my favourite album artworks too. For me Magica is up there with Holy Diver and Dream Evil. Very good album. Never been bothered by “concept album” stuff, though, as you said it’s music first. I don’t know if you allow a talk about bootlegs here, but out there is this live soundboard recording called Iron Magica, which was recorded during support tour in Europe, in Belgium, Antwerp to be precise, it’s got most of the Magica album performed live, and there is Bruce Dickinson and Nicko McBrain of Iron Maiden performing with Dio three songs: Rainbow In The Dark, The Last In Line and Man On The Silver Mountain/Long Live Rock ‘n’ Roll medley. It’s kinda weird, in a good way. Hi Joe, while I know you don’t care much for the spoken word story (While the story is rather basic, Ronnie’s delivery is not pleasant at all), you mention here a few times it is 18 minutes long while the Magica page mentions it is 14 minutes long. I’ll check the length of my original record version at home but is there a chance the story here is longer than the original ? That’s just me being loose with my numbers. As far as I know, it’s the same audio across all versions. I wouldn’t read anything into that. Thanks for the review Joe! Could you review the “Finding The Sacred Heart – Live in Philly 1986” DVD/Bluray at some point as well? I’m sure it would be very enjoyable. Yeah, I know – I dropped the ball on that one. Funny thing about that show is I was actually THERE for that concert back in 86. I really do like Magica as an idea, and ‘As Long As It’s Not About Love’ is possibly one of my favourite songs, Dio or otherwise, but I simply cannot get on with Craig Goldy’s playing. It (to me) seems laboured and lifeless. Even an up tempo song like ‘Challis’ just seems…I don’t know…flat, I guess. Vivian Campbell’s playing was energised, vital, and Tracy G (albeit a different sound) was exceptional (no so much when playing the ‘classics’, but Strange Highways was awesome). It’s the difference between ‘King Of Rock N Roll’ on Sacred Heart and later live performances (but on an album-scale). The same song, yet Goldy makes it sound like a technically-gifted fan playing in their bedroom rather than a storming opener. Some great songs, but I can’t help but feel a different guitarist would have brought more to the record. Tracy G playing ‘Lord Of The Last Day’ would have been fantastic, or Campbell on ‘Feed My Head’. It’s a shame that Rowan Robertson wasn’t brought back for this album, or that Tracy G didn’t remain as a second guitarist. The funny thing is, I actually like the ‘Story’. Granted, Ronnie is almost painful to listen to reading it on the CD, but I really liked some of the concepts (what would aliens make of mythology?) when I read it in the liner. And the songs fit well with it. I mett Craig Goldy after a show in Cardiff, and he is truly a gentleman – a really nice guy who takes the time to chat with folk. Not to mention carrying the legacy forward. But I’d only buy if you are a completist. Probably my favorite Dio album. I would now like to see some Deluxe Editions of Strange HIghways and Angry Machines. Both under rated albums in the discogrophy in my opinion. I’ve listened to the first few albums so many times that any more I gravitate to these later ones. Great review (as always). And ditto on “Fever Dreams” – amazing song – the best on the album. Also gotta give it up for “As Long As It’s Not About Love” and “Electra”. Hey Joe what other Deluxe Edition do you own? 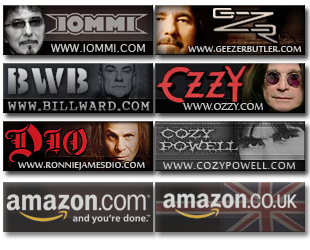 Because I see Black Sabbath and Dio but what the rest of them? And I can’t see that well in the picture. Thanks. A few months ago I posted a picture of all the Deluxe Editions I have. I think it’s on the Facebook group, but I’m not sure when I posted that. I just bought this. A little late for comments/reviews I guess, but here goes anyway. 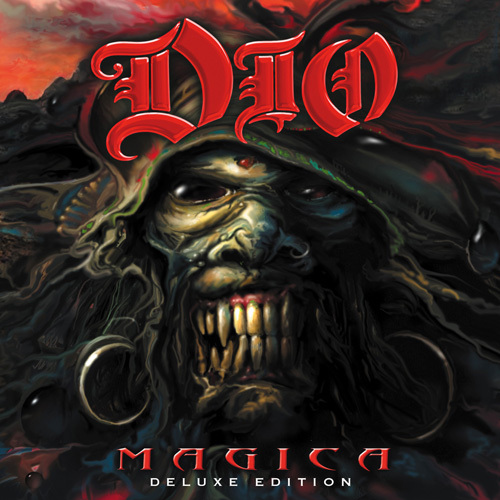 It’s a great album, Dio’s third best IMO. This packaging of this deluxe version leaves something to be desired, however. The lyrics in the booklet are messed up – some of the lyrics are missing or incomplete while some of the lyric pages are printed twice. Also, no effort has been made to reproduce the gatefold-type artwork on the original release – the four page panorama with the good and evil sides, the Eriel and Shadowcast faces. A missed opportunity. I’d also like to point out that Annica is an instrumental track. It features some nice soloing from Goldy, but personally I was a little disappointed, ‘cos I was hoping for a rarity with Ronnie actually on it. The live recordings sound pretty good. Either they’re very good quality audience recordings or kind of raw soundboard recordings, it’s hard to tell. I would guess the former.